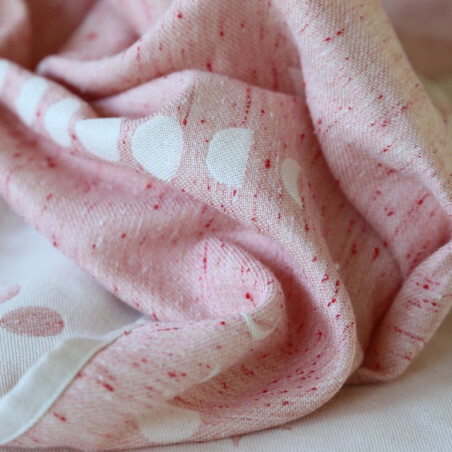 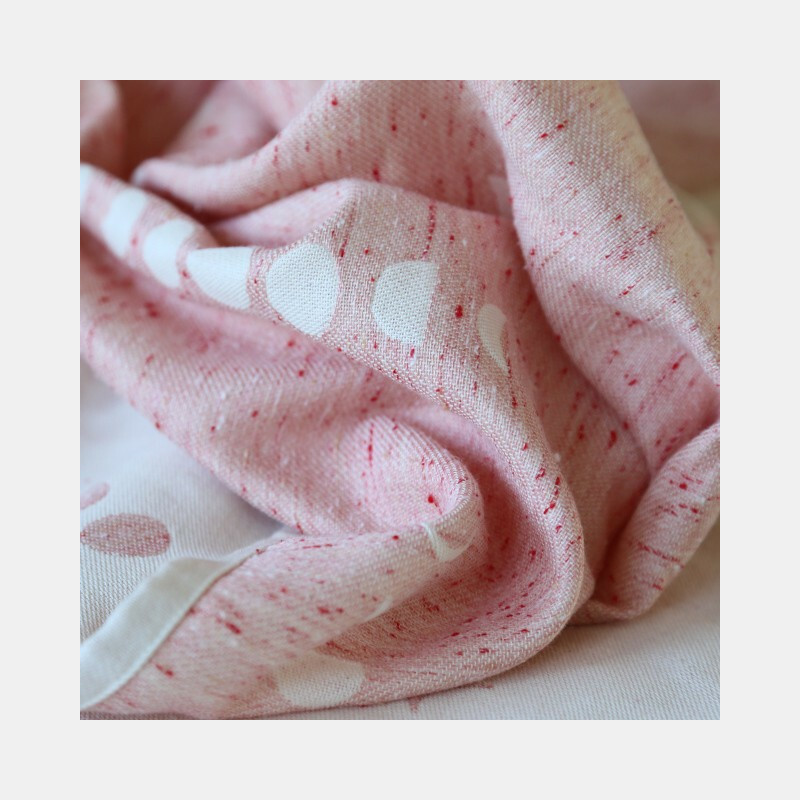 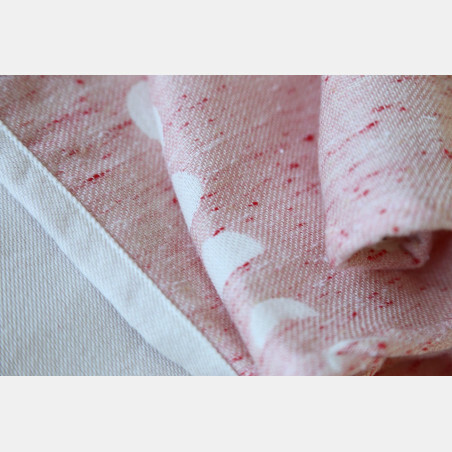 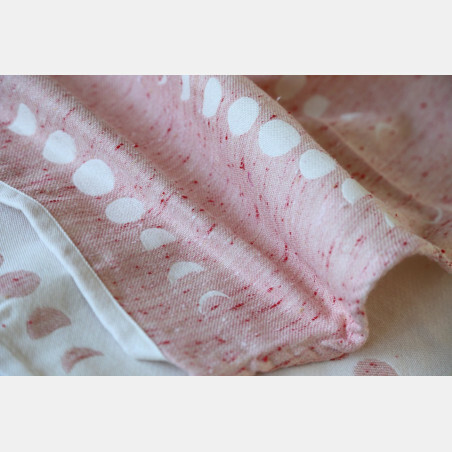 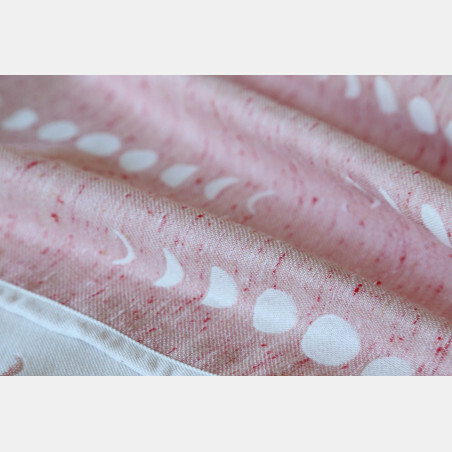 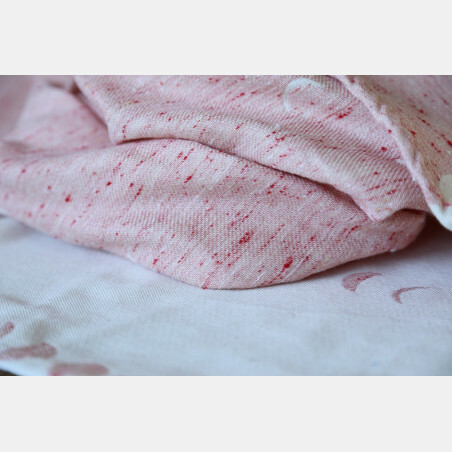 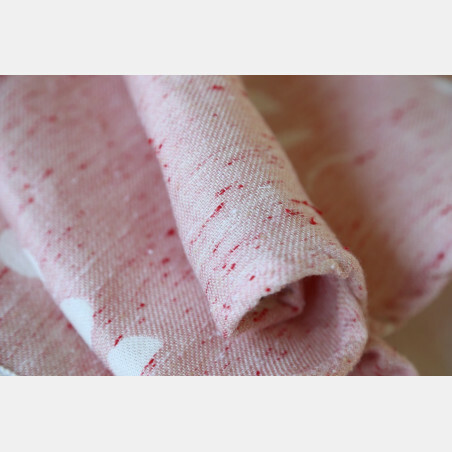 Phases in the colors of strawberry ice cream - light and fresh summery color combo. 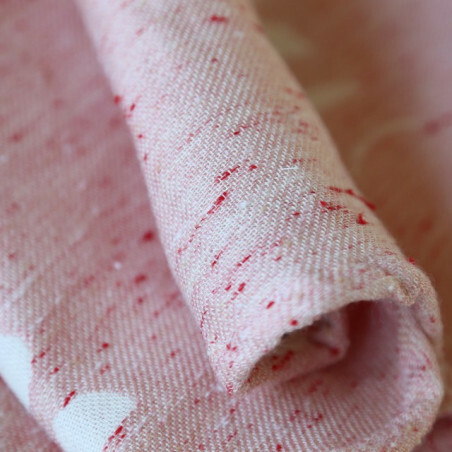 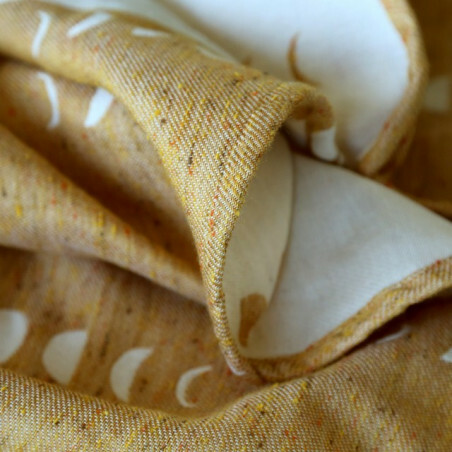 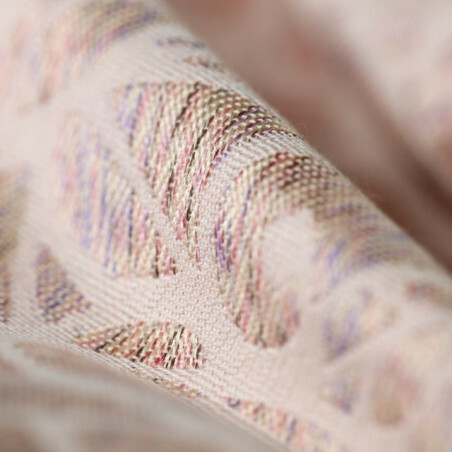 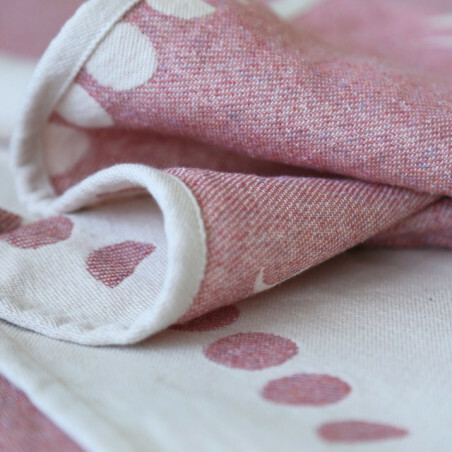 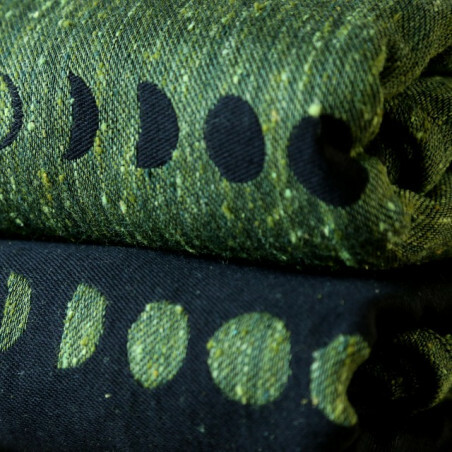 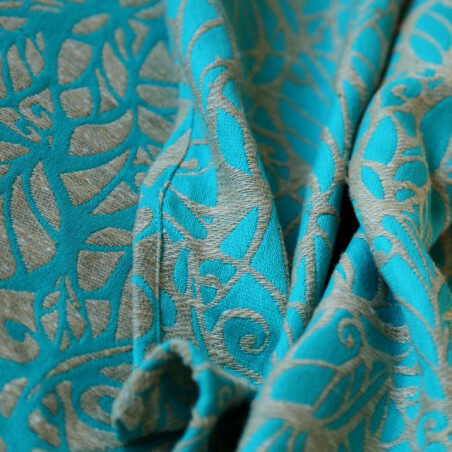 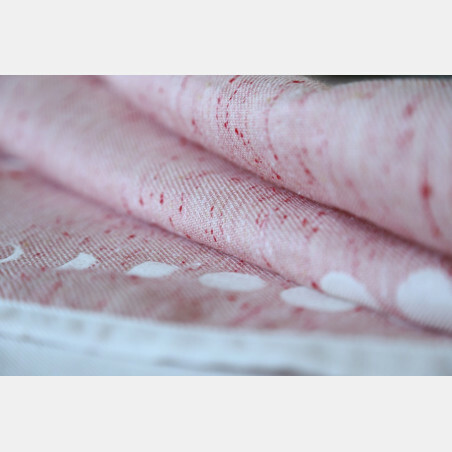 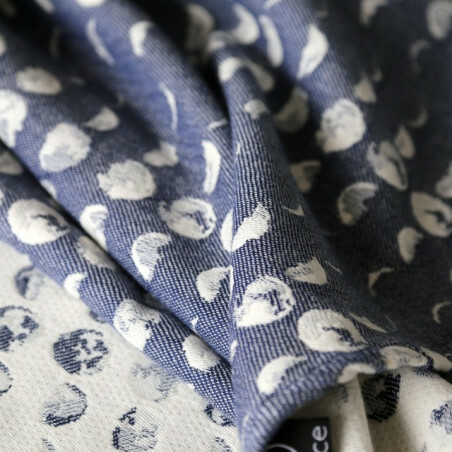 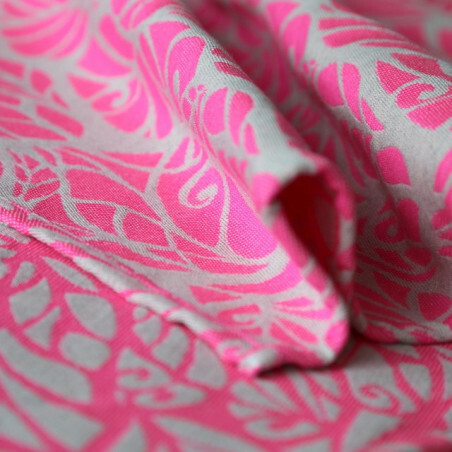 Slubby viscose adds texture to the material and gives it a playful look. 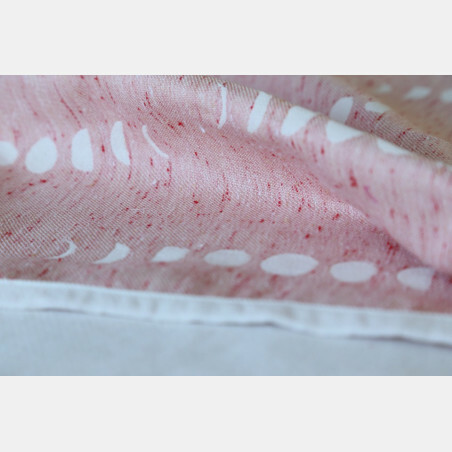 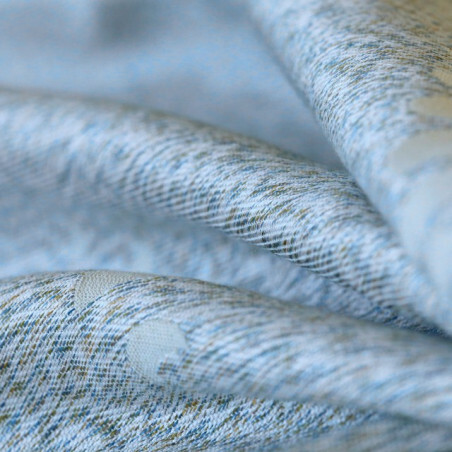 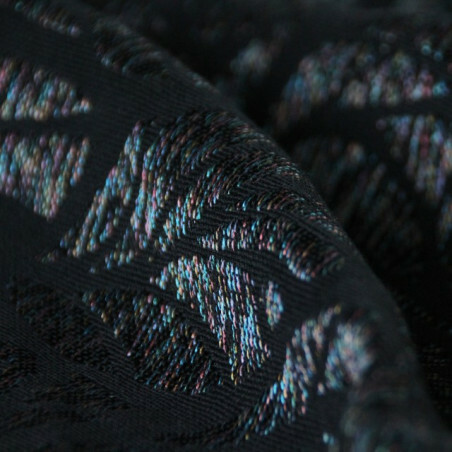 Tencel fiber feels soft and comfortable for sensitive skin. 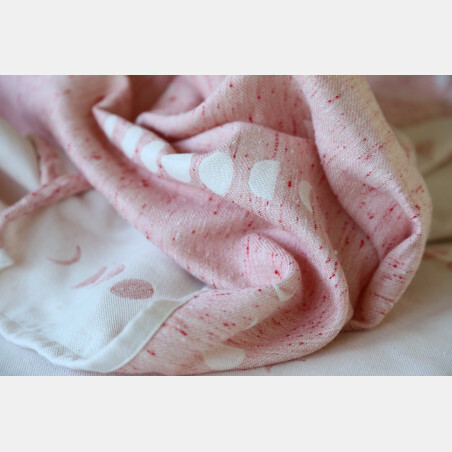 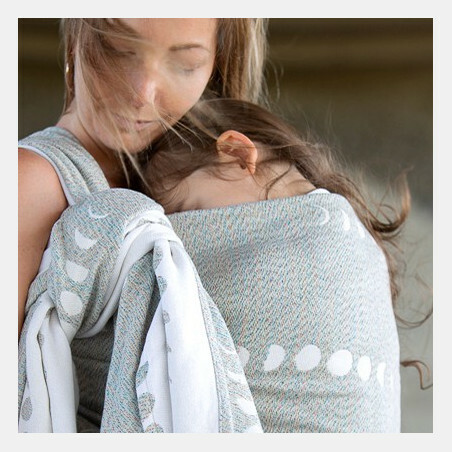 It absorbs moisture and supports body's natural thermal regulating processes. 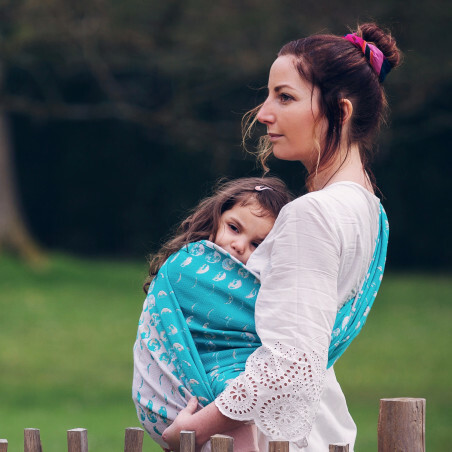 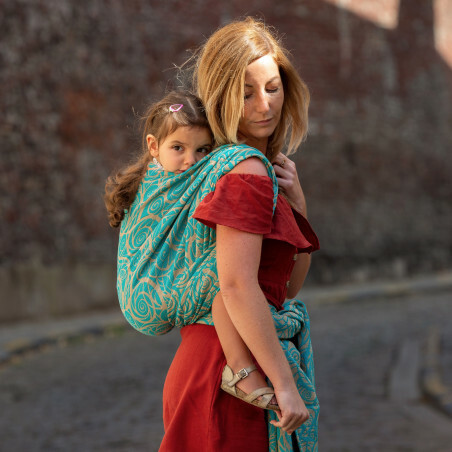 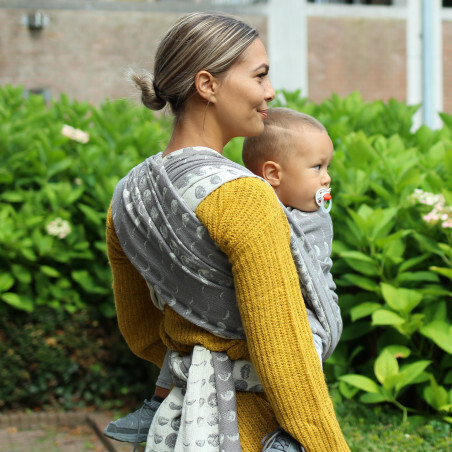 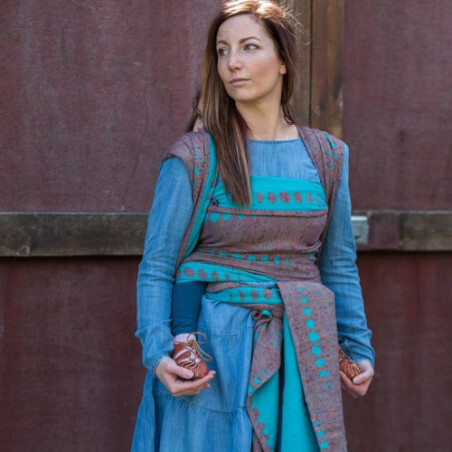 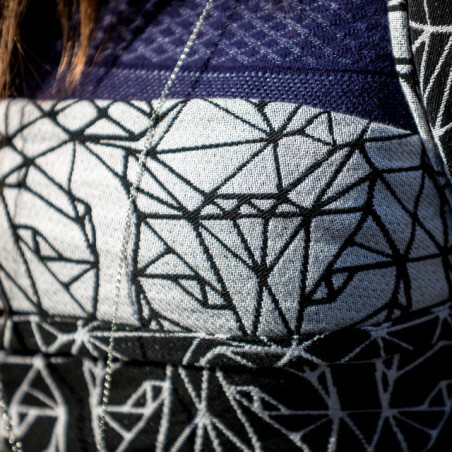 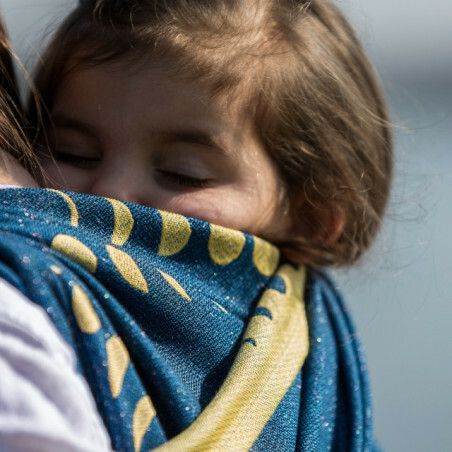 This wrap is easy to use and is suitable for all ages. 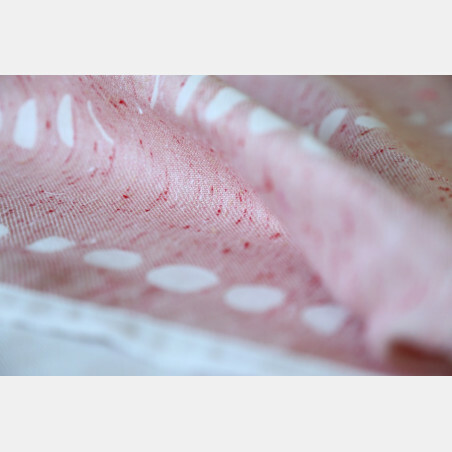 Machine wash on a gentle cycle with a maximum op 600 rotations is recommended.